The best option for retrieving precious metals from a catalytic converter is with an ARE Industries Catalytic Shear decanner machine. The 3/4" thick V-shaped blade on our catalytic shear machine easily cuts through a catalytic converter like soft butter and can be re-sharpened for long life. A heavy bolt on heat treated plate makes opening the converter mouth easy for catalyst removal into 55 gallon drums that fit under the machine. 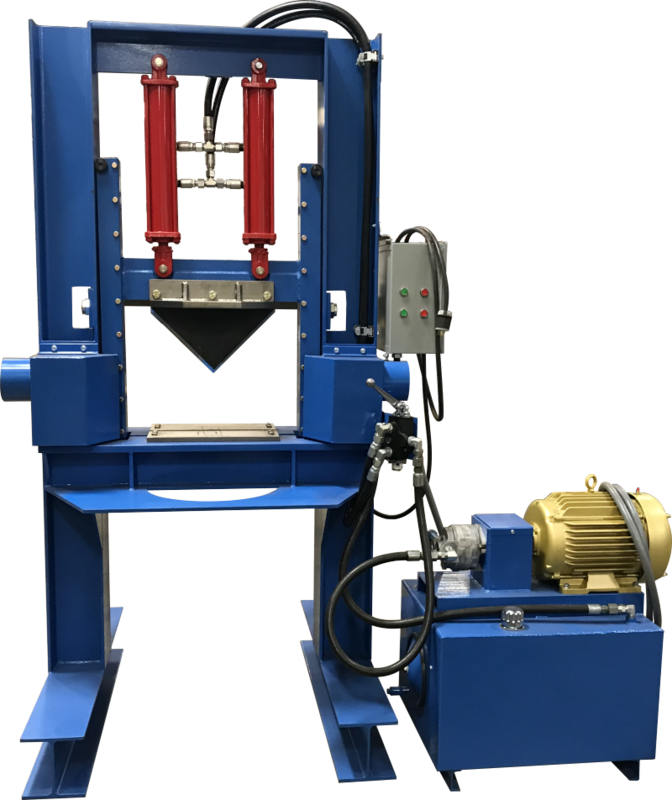 This is the same Catalytic Shear decanner machine as above, built on a stand to allow the catalyst material to dump into a large bag for easy transport to a catalyst smelter. This machine also comes with a work platform and stairs for the operator to stand on. © COPYRIGHT 2019 A.R.E. Industries, Inc. ALL RIGHTS RESERVED.